When World War I began, the bicycle was still fairly new—the big-wheeled pennyfarthing had only recently given way to the vastly more nimble and speedy safety bicycle, and while bicycles and bicycling were no longer the fad they had been in the 1890s, they were nonetheless still an indicator of up-to-date modern life. It’s thus no surprise that bicycles were quickly pressed into service at the outbreak of hostilities. At a moment when armies across Europe were still practicing cavalry charges with horses, and it was far from clear what role motorized transportation would play in the war, bicyclists were called upon to play a variety of roles by armies on both sides, including as messengers, scouts, and guides. 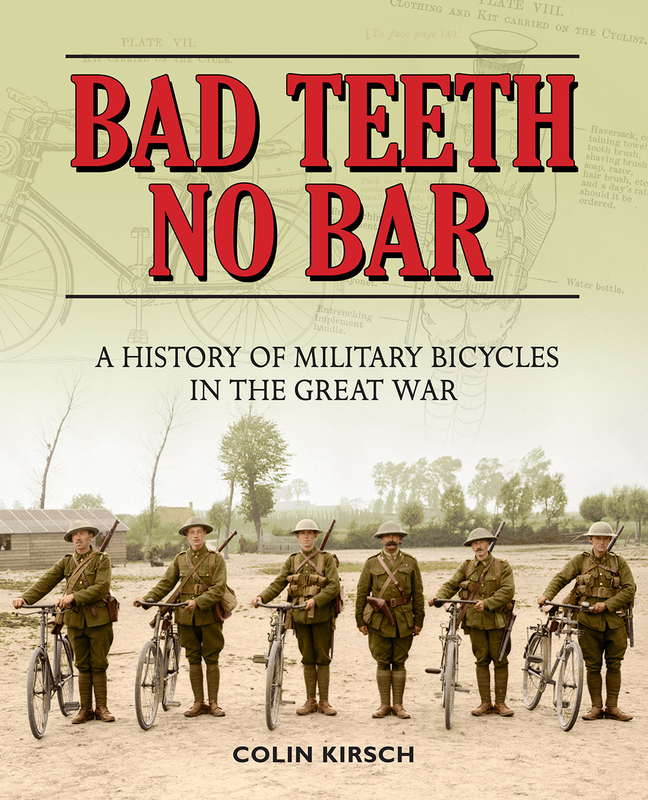 Bad Teeth No Bar, which takes its name from an advertisement asking cyclists to volunteer, is a beautifully illustrated appreciation of the role played by bicycles in the Great War. Full of color photographs of vintage bikes and their riders, illustrating accounts of their long-forgotten exploits, it illuminates a little-remembered aspect of the war and celebrates a set of unsung heroes. Perfect for vintage bicycle enthusiasts and military history buffs alike, Bad Teeth No Bar is a remarkable centennial celebration.